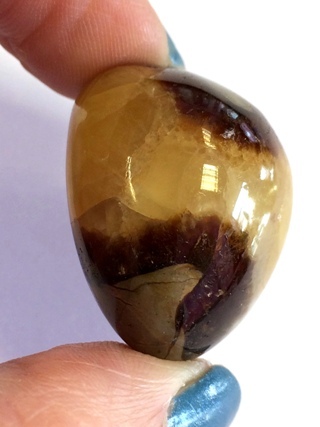 A deep toned tumbled stone of Septarian. Septarian is a combination stone that comprises yellow Calcite, Aragonite and Chalcedony. Key Healing Properties: Septarian is a stone of community and Earth stewardship. It fosters unified action, instills peace and enables clarity and ability to put concrete plans into action.